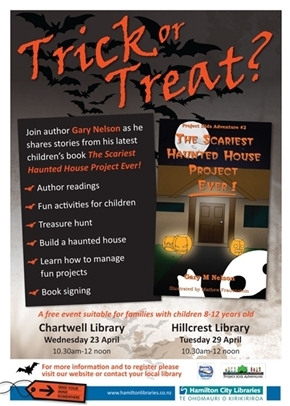 Home»Book reading - The Scariest Haunted House Project - Ever! This is a free event suitable for families with children 8-12 years old. Copies of the book will be available for sale.